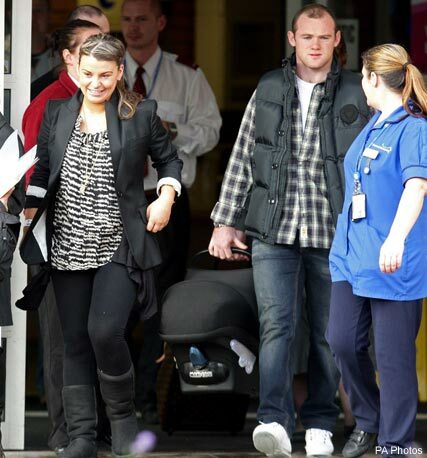 Coleen and Wayne Rooney gave their newborn son his first peek at the outside world today, as they left hospital less than 24 hours after he was born. The beaming new mum looked ecstatic as she emerged from Liverpool Women’s Hospital in leggings, a black blazer and a printed tunic top, while proud dad Wayne clutched baby Kai Wayne in a carry chair. A swift exit, Coleen gave birth to the couple’s first child just yesterday afternoon, choosing to spend only one following night in the maternity unit. The new parents have now returned to their Cheshire mansion. We can’t wait for our first proper peek at little Kai!